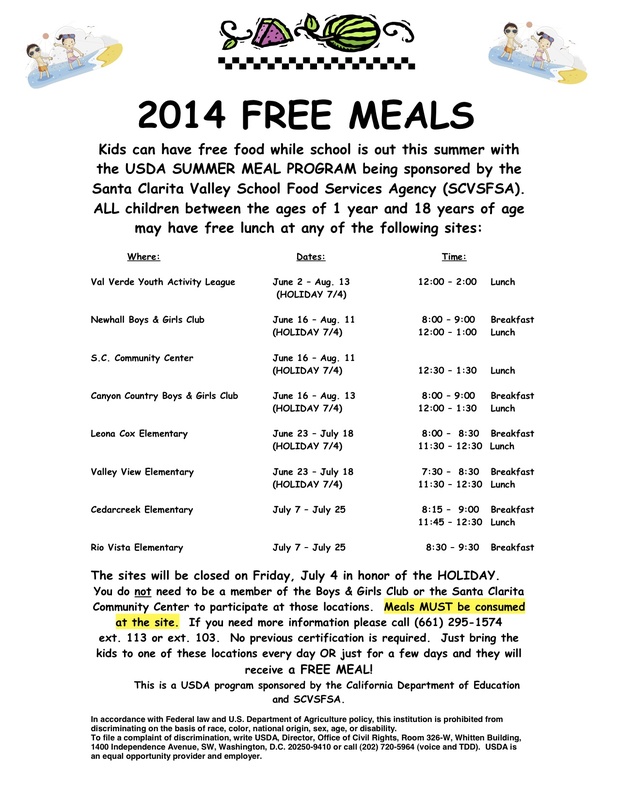 2014 Free Meals for Kids in the Summer on behalf of the City of Santa Clarita. Please feel free to share this program with others. 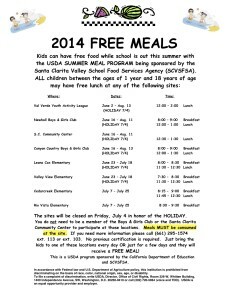 Kids can have free food while school is out this summer with the USDA SUMMER MEAL PROGRAM being sponsored by the Santa Clarita Valley School Food Services Agency (SCVSFSA). A flier with more info is attached.